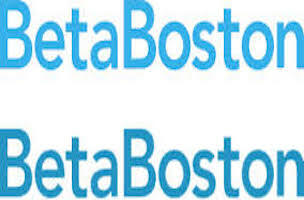 BetaBoston.com is a new, free site launched by the venerable Boston Globe to specifically cover the Boston tech sector encompassing everything from new ideas and ventures to the people who help shape the city’s future, culture and beyond. The free site will reportedly cover the sectors and the people driving the MA economy in areas such as venture capital, life sciences, medical devices, startups, and emerging technologies, including robotics and big data. Innovative companies and technologies that trace their origins back to Boston include Facebook and Zipcar as well as Genome mapping, Internet security and the World Wide Web consortium, among many others. Globe editors say BetaBoston will also report on the culture of invention and how recent developments impact the daily lives of Bostonians as well as people around the world. Examples include, how is technology changing transportation? Or, what are the privacy implications of surveillance technologies used by police? The site will rely on a combination of reporting by both newly hired writers as well as veteran staffers Scott Kirsner, an Innovation Economy columnist, and Globe business reporter Callum Borchers. Moreover, BetaBoston will also feature a wide variety of tech and non-tech related events as well as job listings. Follow the site on Twitter @BetaBoston.